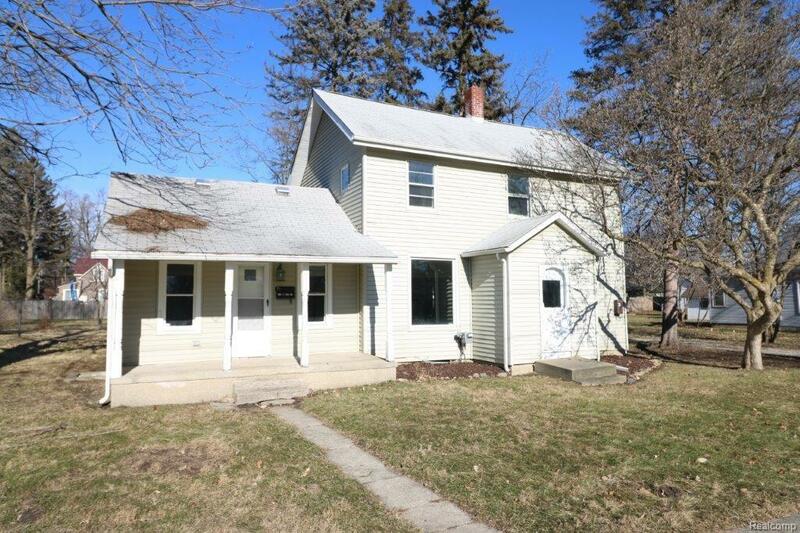 Great opportunity on this 4 bedroom colonial in Imlay City. Exterior features a large lot, covered porch, vinyl siding, and vinyl windows. Main floor has separate living and family rooms, both with hardwood floors. Nice sized kitchen with oak cabinets. First floor master bedroom with lots of closet space. One full and one half bath on the main floor. Upstairs has 3 bedrooms and an additional full bath. Main floor laundry room. Fresh paint and flooring throughout. Immediate occupancy is available.